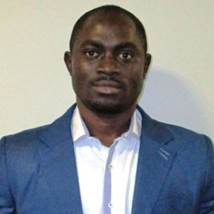 Mr. Aruk Ojong is a highly motivated Cameroonian with educational background in Environmental Science and Technology. He holds an MSc degree in Environmental Sanitation from Ghent University, Belgium and a BSc in Environmental Science with a minor in Geology from the University of Buea. He comes in with 3 years of field experience working with non-governmental Organizations in Cameroon. He served at People Earth Wise (PEW) after his Bachelor’s degree (2010-2012), coordinating Mangrove conservation project along the coast of Cameroon. He later worked with Environmental Governance Institute (NGI) (2012-2013) as Environment and Community program officer before enrolling at Ghent University. Mr. Aruk Ojong has also been the first international student to take on a three months internship with TREVI NV, an Environmental consultation and technology company in Gentbrugge, Belgium. Mr. Aruk Ojong is readily available to take on field research and laboratory experience in air and water treatment, soil analysis, contaminant transport and remediation.